One gentleman owner plus supplying Peugeot dealer from new. Cared for and maintained to the highest standard with full Peugeot main dealer service history. Superb economy 7 seater family motoring with £30 per year road tax and over 70 MPG extra urban fuel figures. 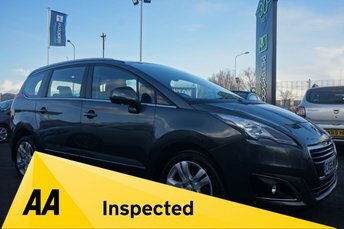 Comes with an indepedent 128 point AA Inspection Report, carried out on siter by AA engineers, all documentation, stamped service book plus all original Peugeot main agent service invoices, both keys, full clear Gold HPI Report, AA History Check report, 12 months AA Breakdown Cover. Please call or message if you require further information or to make an arrangement to view. Looking to save money on a used Peugeot for sale in Widnes? 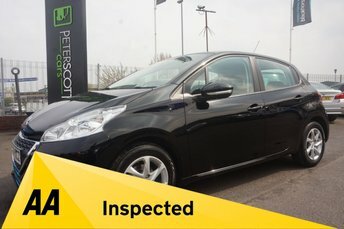 You can always be sure of finding a great deal when you come to Peter Scott Cars. We're proud to be one of the region's leading pre-owned vehicle specialists and with a huge range of quality vehicles to choose from, you're sure to find a second-hand Peugeot that fits your requirements. If you're looking to save on a used Peugeot 206, or want to enjoy the thrill of a used Peugeot RCZ, be sure to speak to a member of our team. Call, get in touch here on the website or pay a visit to the showroom in person.